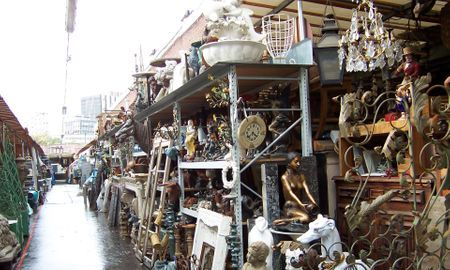 Knowing where in the world to go for the really great finds, and getting there is half the battle. Then think about cost, and the disadvantage of being a lone buyer. Then there's the added challenge of getting a single piece or 'LTL' (less than a full load) through customs and delivered to you. We solve all these problems for you; you get the advantage of our expertize, as well as collective bargaining and shipping. As we scour the warehouses and markets, we video record what we see, taking detailed photos of items of distinction keeping touch with you our buyers here in the States. When you view these videos, if you see something you are interested in, we negotiate a price with the dealer. These negotiated prices are far lower than what an individual buyer could get, because of our collective bargaining. Once a deal is made, then we arrange for packaging and shipping. Again, the cost for this is far less than if you were to have that single item packaged and shipped to you. Shipping and handling for general items will cost around 20% of the purchase price. Items with marble or glass can cost up to 40% of the purchase price. 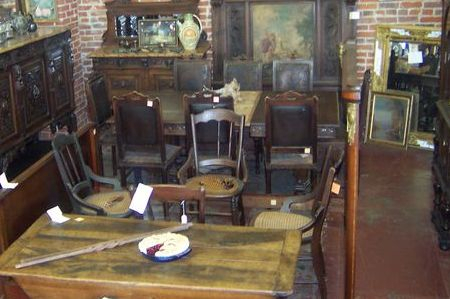 Our commission is 10% of the purchase price for buyers of items or collective items under $10,000.00, less for buyers of items or collective items over $10,000.00 (ask for details). So if an item costs $1,000.00, the shipping would be an average of 30% or $300.00, and commission of $100.00; your total cost would be $1,400.00. Items you paid $1,400.00 for with our collective arrangement would be worth far more in the States. For us to be your eyes on our next trip, let us know. There is no minimum purchase or even obligation to purchase. Shipped containers arrive at one single location. Purchased items to be picked up there. Additional Stateside freight is available.